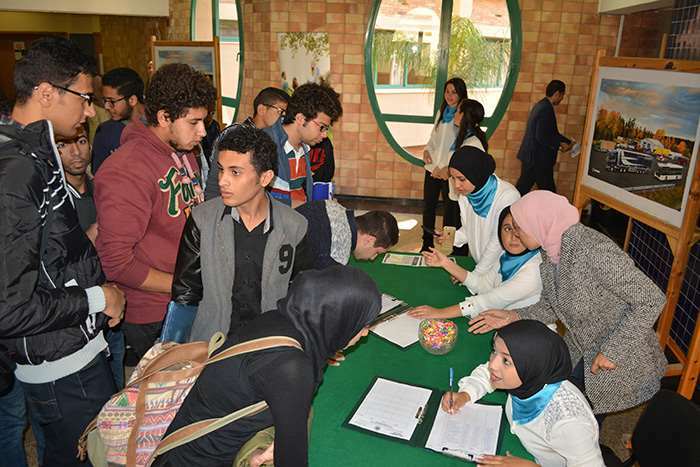 The Career Development and Entrepreneurship Center (CDEC), in collaboration with JAMK University of Applied Sciences, hosts the first week of innovation to be held under the title of “JAMK INNOFlash” from 21- 24 April at Pharos University. 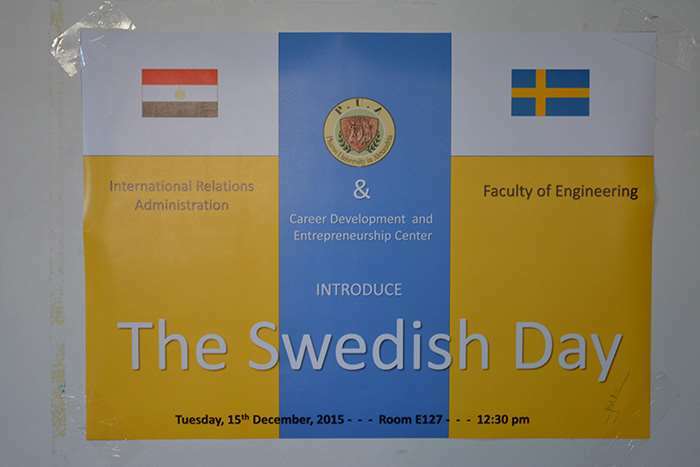 This was held in the presence of Mr. Mieskolainen Matti, a lecturer at the JAMK University of Applied Sciences. 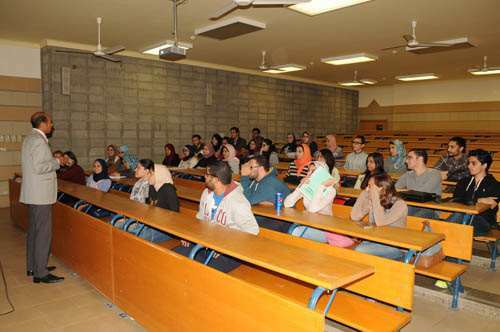 The first week of innovation will be attended by PUA students from different faculties. 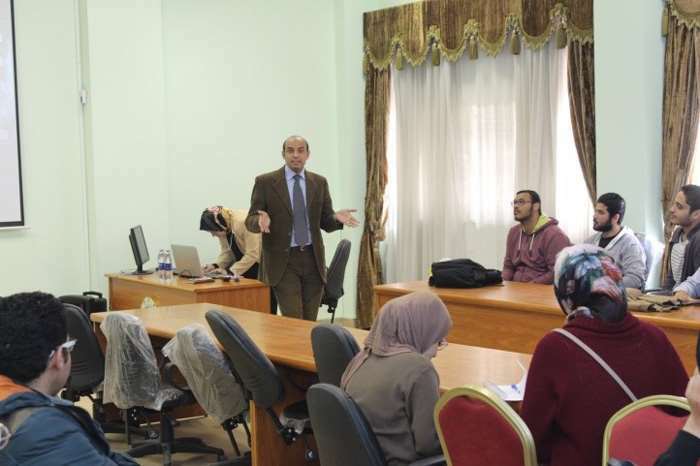 The Francophone University Association (L’Agence universitaire de la Francophonie) (AUF) announced through its digital centre in Alexandria the launching of a new project; the establishment of the CIPIEE Centre (Centre pour l’Insertion Professionelle, l’Innovation et l’Entrepreneuriat en Egypte) which is opened in Senghor University and is specialized in professional integration and fostering innovation and entrepreneurship in Egypt. 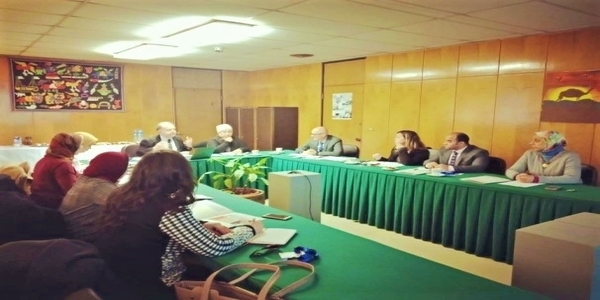 This new project will be part of a program launched by the AUF under the title of “Campus of the New Francophone Universities” (Campus du Nouvel Espace Universitaire Francophone) (CNEUF) which aims to create new employment opportunities, thus effectively contributing to the social and economic development. 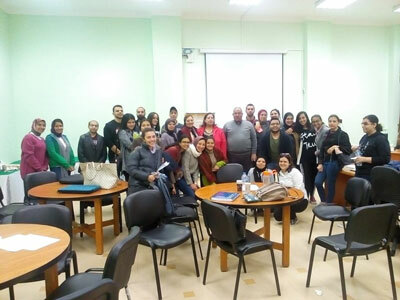 As representatives of Pharos University, Dr. Noha Alaa, the Deputy Director of the Career Development and Entrepreneurship Center (CDEC) in Pharos University, along with Dr. Noha Ismail, the PUA Francophone Relations Coordinator attended the first meeting of this newly established centre. 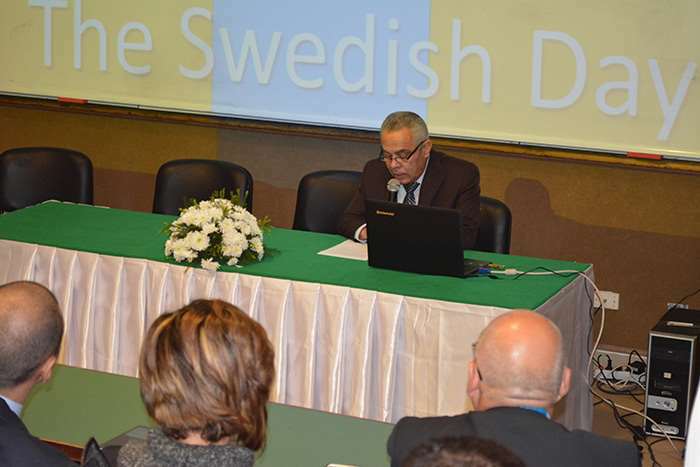 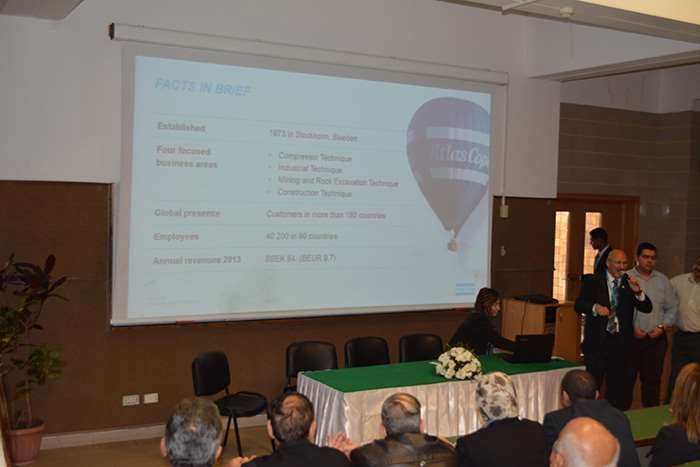 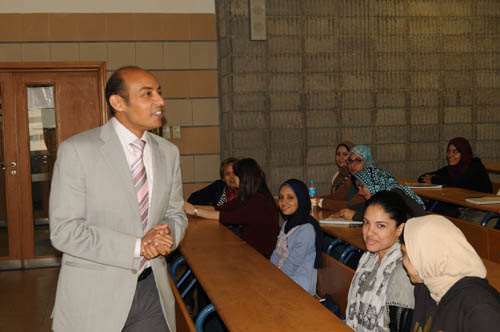 It is worth mentioning that this centre is an outcome of cooperation among several academic and economic partners, including the French University in Egypt, the Francophone University Association, Senghor University, Alexandria University, the Centre of issuing the International Business Driving License (IBDL) and the French Chamber of Commerce and Industry in Egypt. 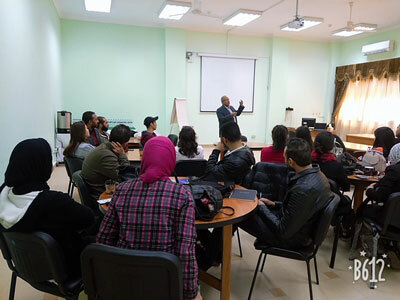 This project aims at fostering innovation and entrepreneurship, forming effective and successful partnerships between universities and large organizations, holding workshops and competitions in universities and developing teaching and learning methods in order to develop skilled students who are able to meet the labour market requirements. 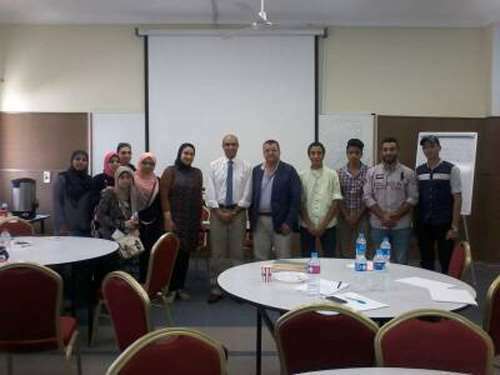 The Career Development and Entrepreneurship Center (CDEC), in collaboration with the SME Development Authority convened a workshop entitled “Generate Your Business” on 20-21 March 2019. 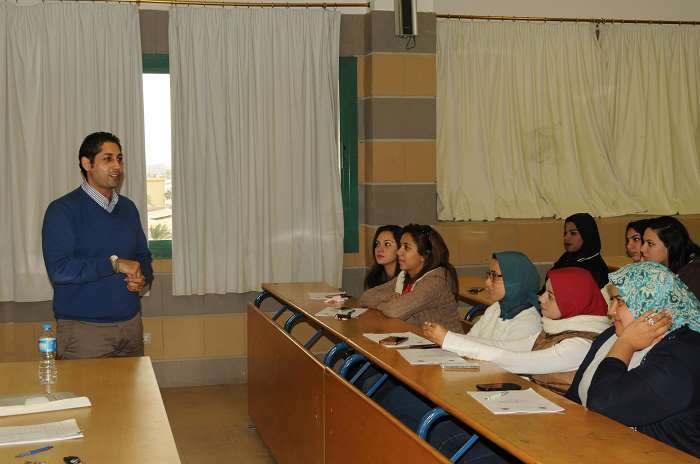 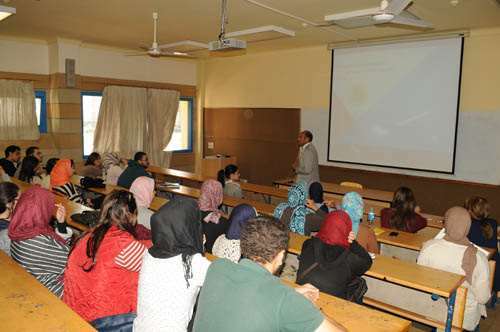 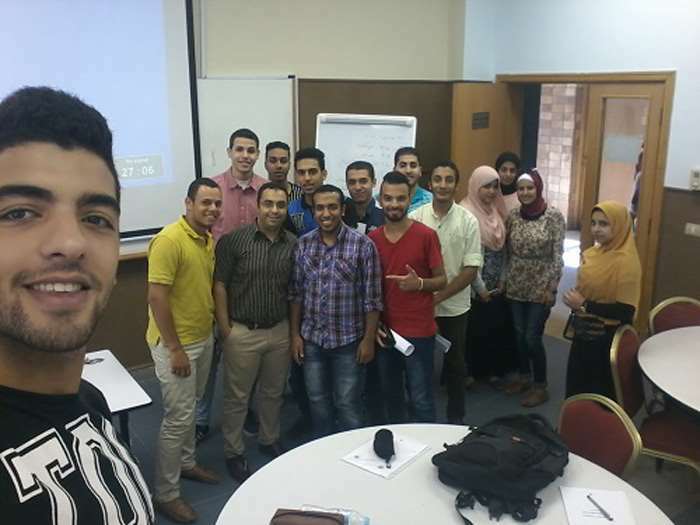 About 31 students of the faculty of Tourism and Hotel Management attended the workshop. 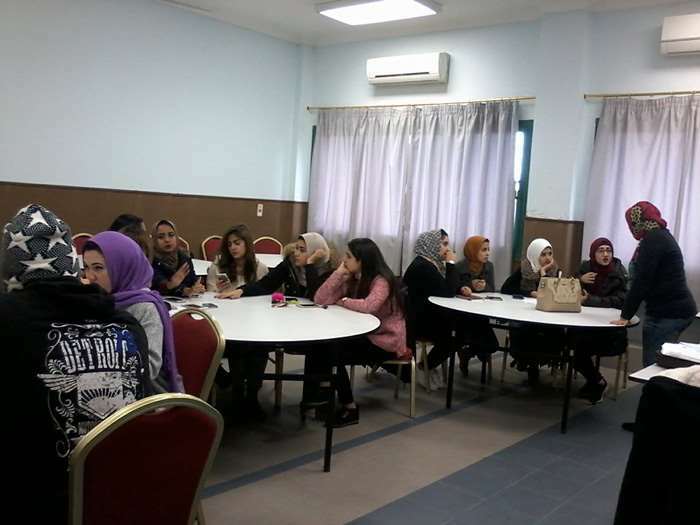 The students, in this workshop, were provided with a good opportunity to acquire innovation skills; an aspect that will enable them to generate new business ideas and work on developing the current ones. 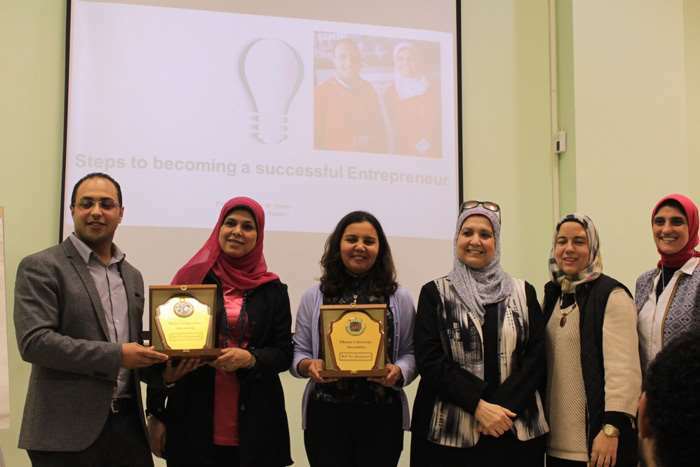 The students were also acquainted with the characteristics of entrepreneurs and how they tackle challenges in order to get ready for the difficulties they may encounter in the future. 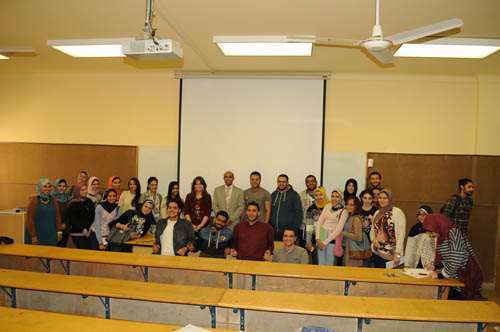 Within the framework of the Erasmus+ staff mobility agreement held between Pharos University and JAMK University in Finland, Dr. Inas Mohamed Masoud, a lecturer of Chemistry at the faculty of Pharmacy and Drug Manufacturing and a coordinator at the Career Development and Entrepreneurship Centre at Pharos University, visited JAMK University and actively participated in this staff exchange programme. 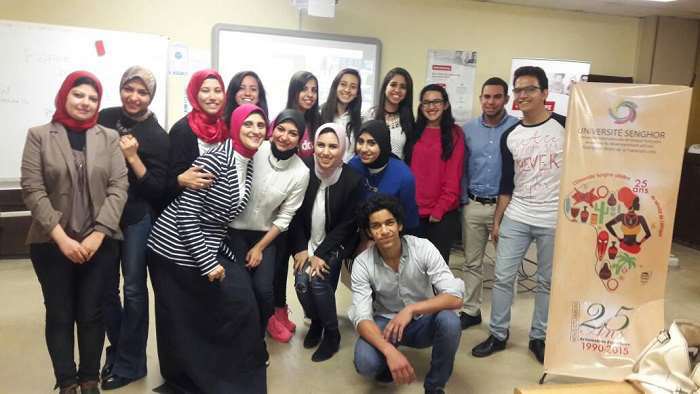 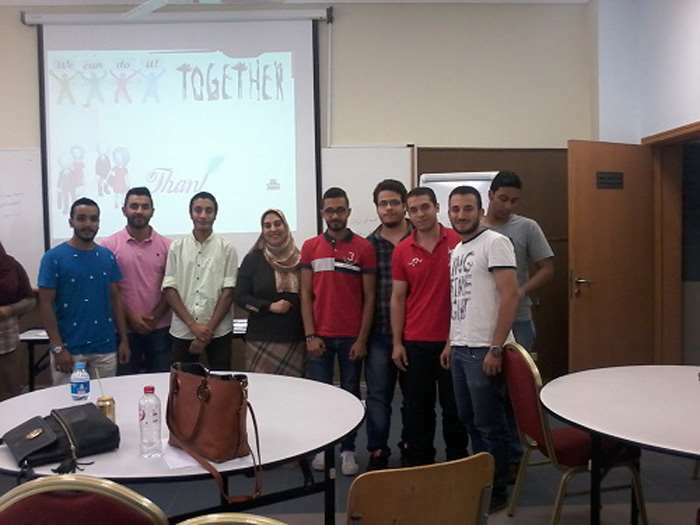 During her visit, Dr. Inas Masoud participated in training the international students who took part in the Innovation Week held in JAMK University. 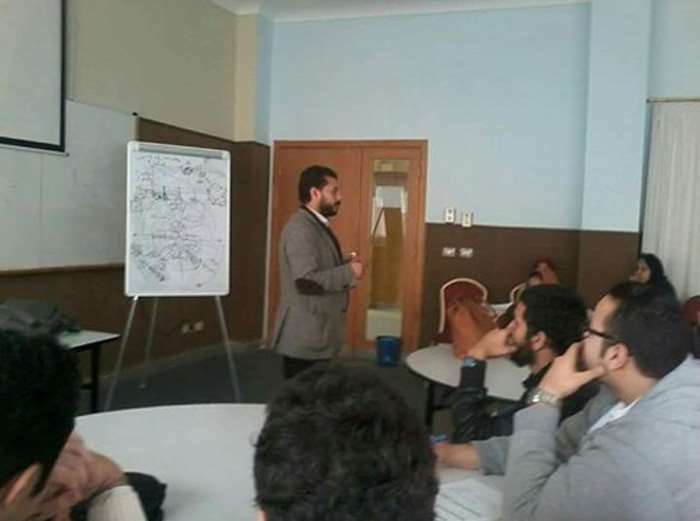 This was considered a superb opportunity for exchanging staff experiences, developing their skills, acquainting the visiting academic staff with the latest learning techniques applied in JAMK University and opening channels of communication between faculty members in the fields of career development and entrepreneurship. 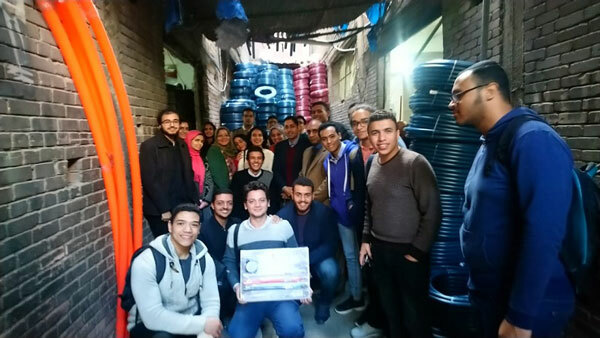 The Career Development & Entrepreneurship Center (CDEC) organized a visit for the students to the MSME Project Development Agency office in Alexandria and one of the successful projects financed by the agency for the manufacturing of plastic pipes. 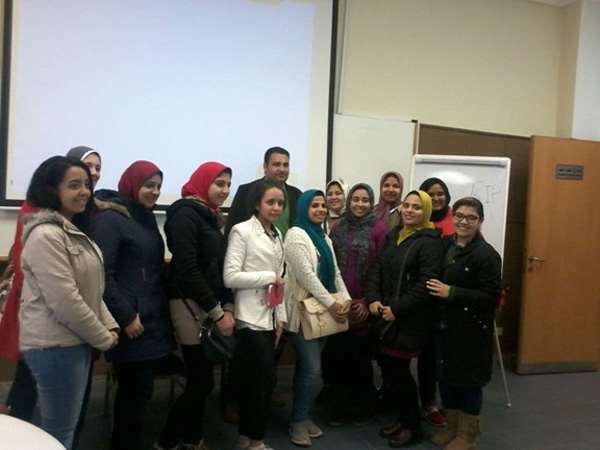 This visit was held on Tuesday, 11/12/2018, under the supervision of Dr. Alaa Khalil. 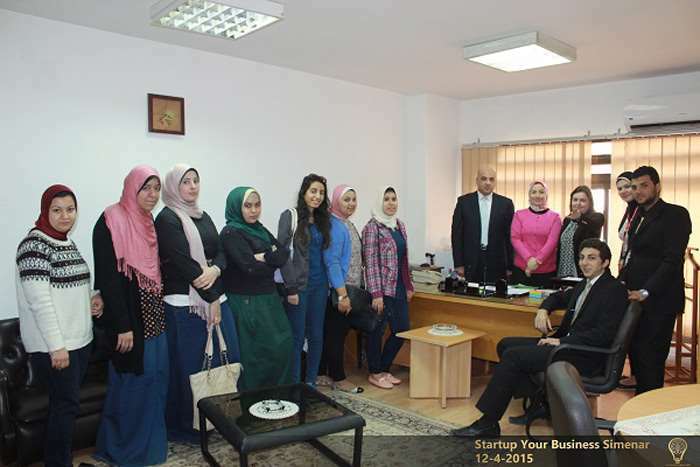 The visit empowered our young entrepreneurs to go through their projects. 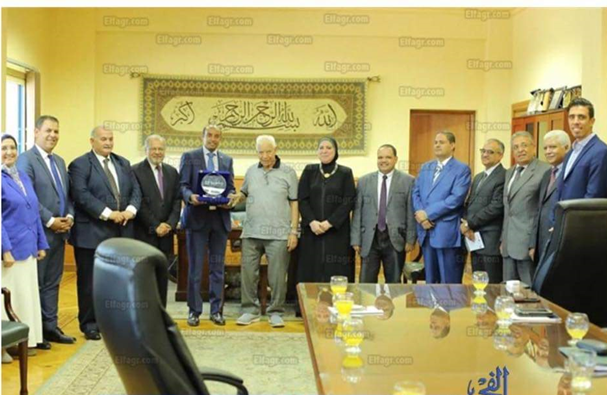 A Memorandum of Understanding (MOU) was signed between the Career Development and Entrepreneurship Center (CDEC) at Pharos University and MSME Development Agency on September, 19th 2018. 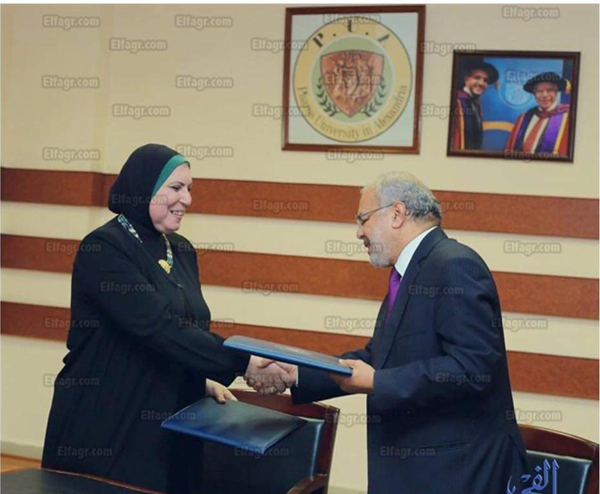 The MOU was signed between PUA President, Prof. Mahmoud Mohie Elddin and Ms. Niveen Gamee – President of (MSME). 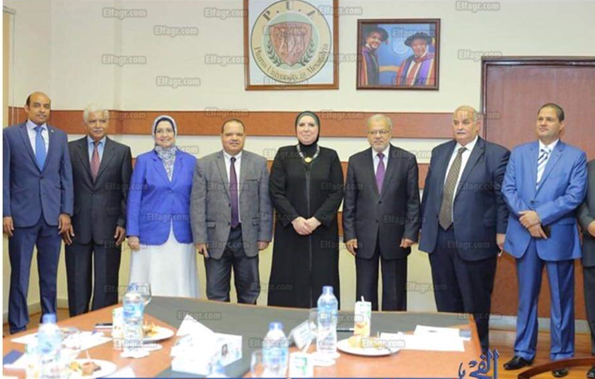 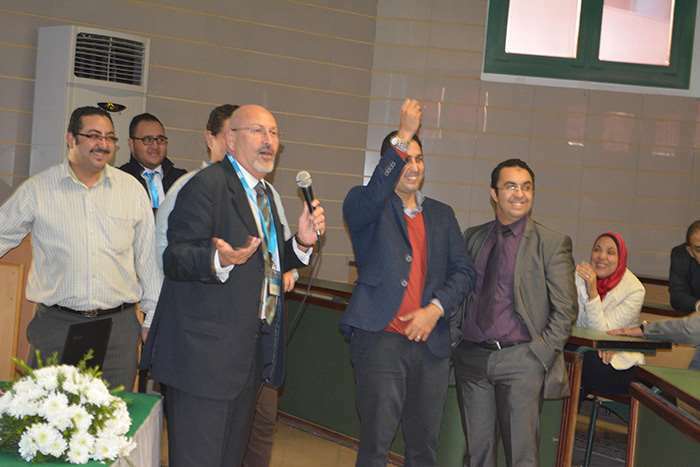 The ceremony was attended by Prof. Norhan Fanaki -Vice President of Students Affairs, Prof. Ramadan Abou El Ela, Vice President of Community Services, Prof. Mohamed Helal, Vice President of Graduate Studies, Prof. Mohamed Abdel Rahman, CDEC-Executive Manager, Dr. Noha Alaa, CDEC-Deputy Manager, and a group of CDEC coordinators. 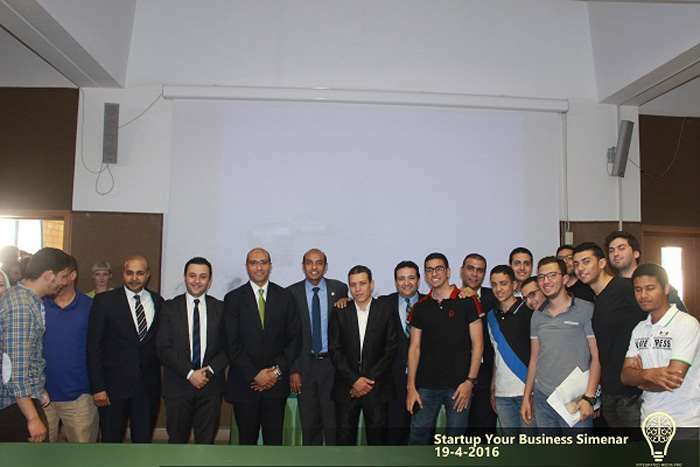 Through this protocol, activities will be run to broaden entrepreneurship and provide necessary assistance and support to PUA students and graduates who are on their way to start their projects. 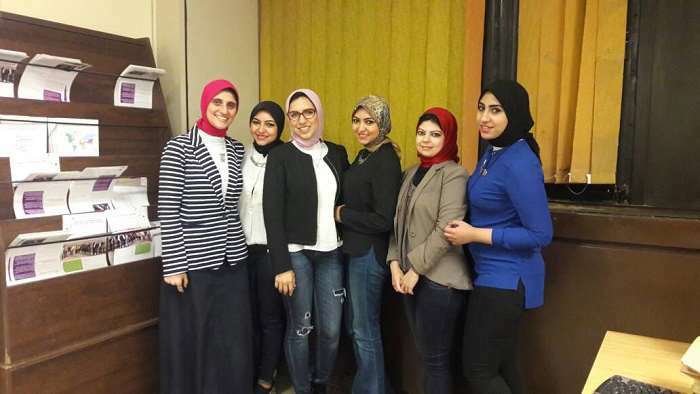 Career Development and Entrepreneurship Center (CDEC) participated in the international competition of Créathon for French-speaking countries at the University of Signor. 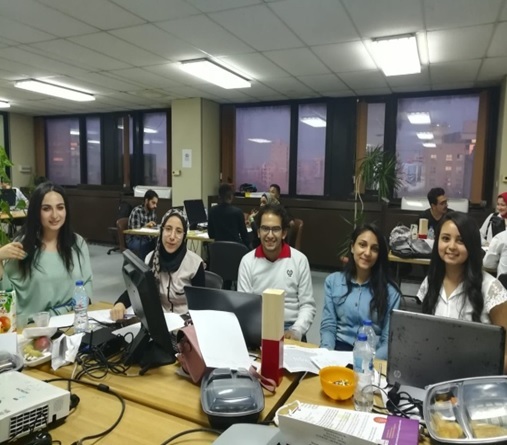 The University participated in five teams about 22 Students from the university on 1617/5/2018. 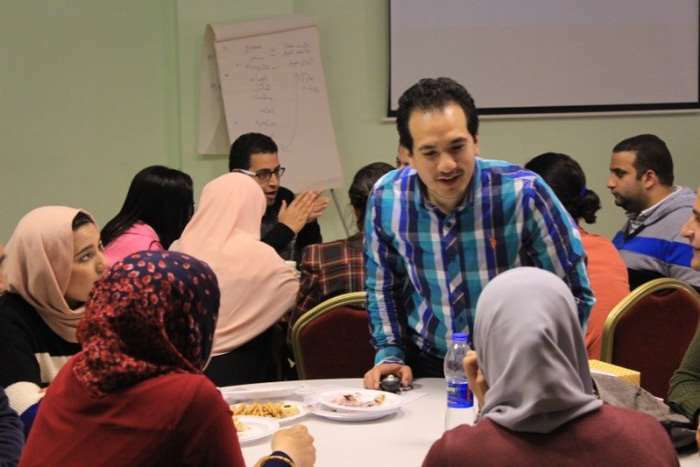 learn how to use your own resources to succeed, discover yourself and determine goals in proportion to your potential. 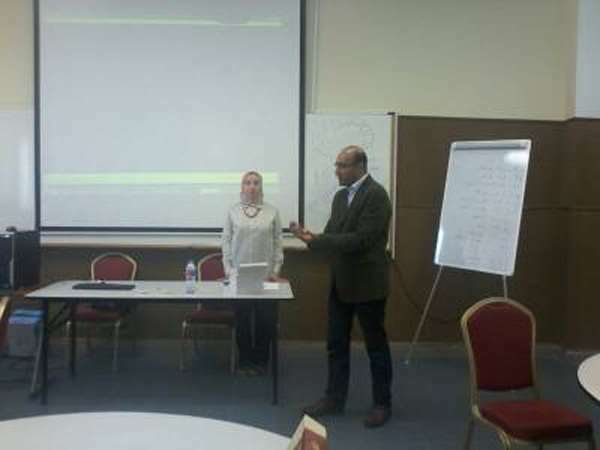 The lecture was Dr. Amina Sharaf-eldin, Professor of Dentistry. 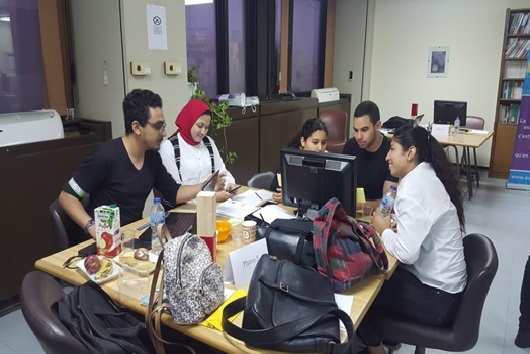 The CDEC organized the first Startup Weekend from 15/3/2018 to 17/3/2018 to target PUA talented senior students from all faculties, who have an idea of anemerging project and would like to develop it. 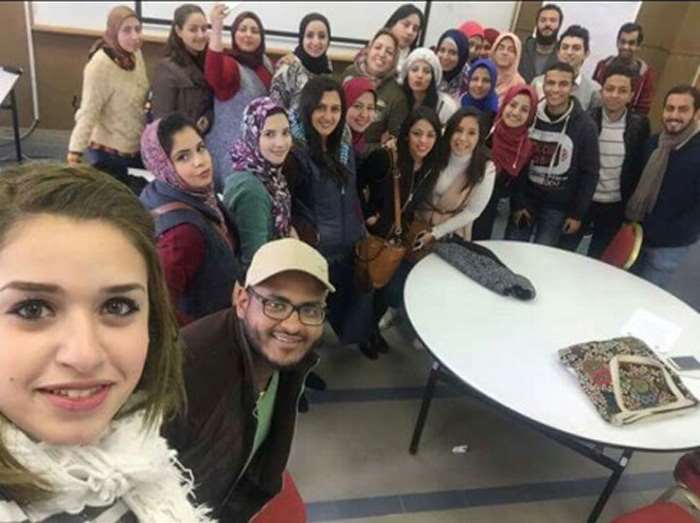 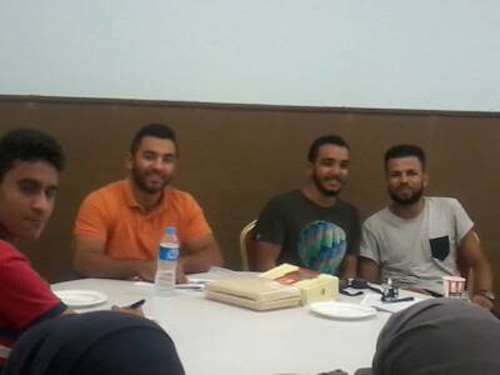 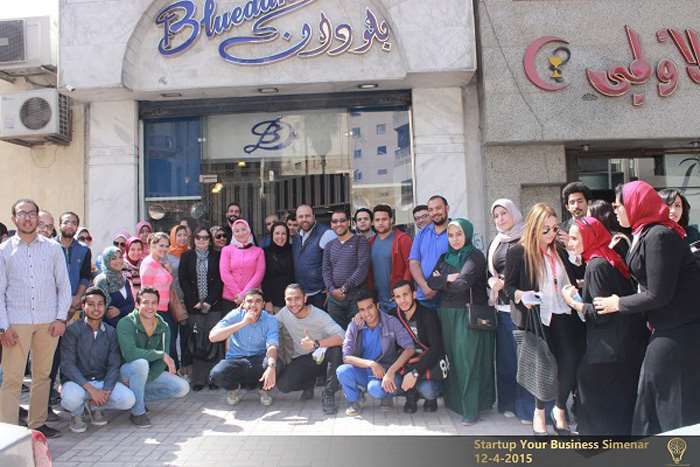 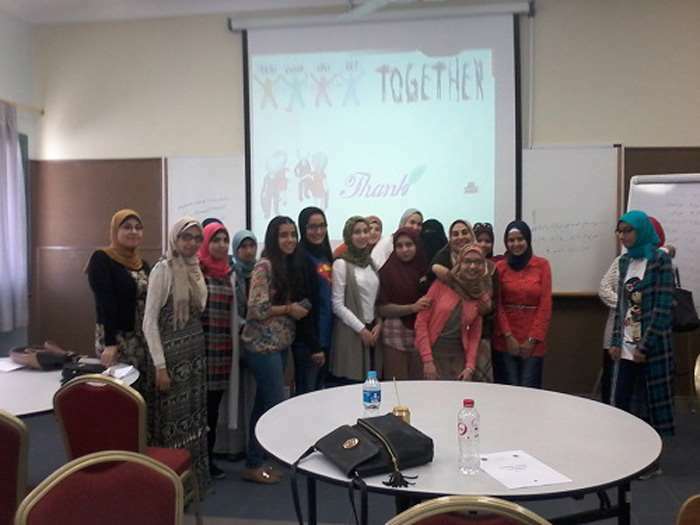 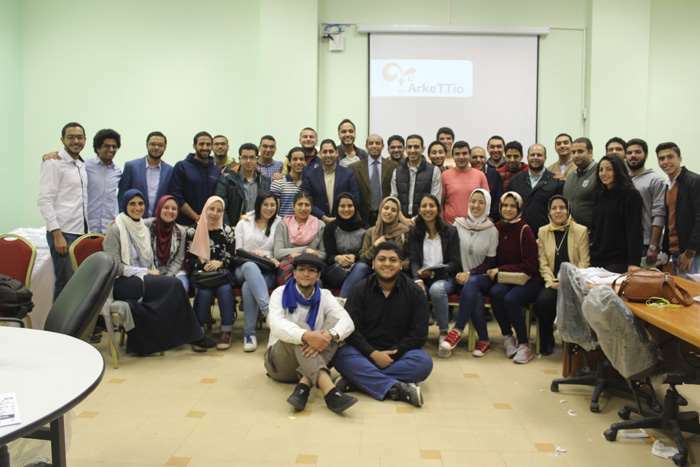 The weekend activities were held in cooperation with the two entrepreneurship centers in Nile University and Assiut University, and with our partner ICEAlex, the company who offers incubation programs. 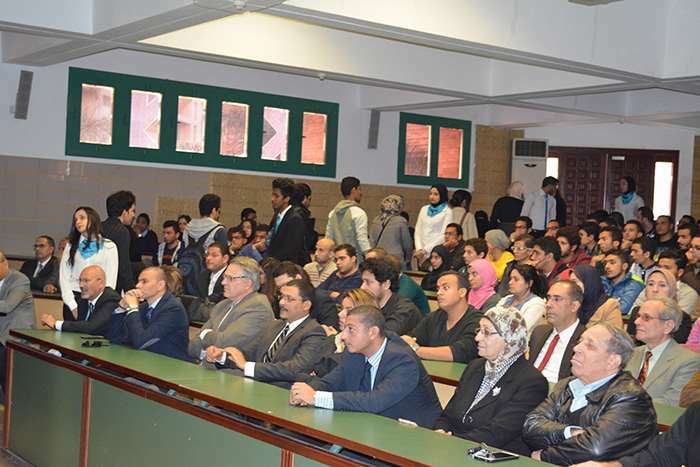 The opening ceremony was by Prof. Norhan Fanaky-Vice President of Students Affairs and Prof.Mohamed Abdel Rahman- CDEC Executive Manager. 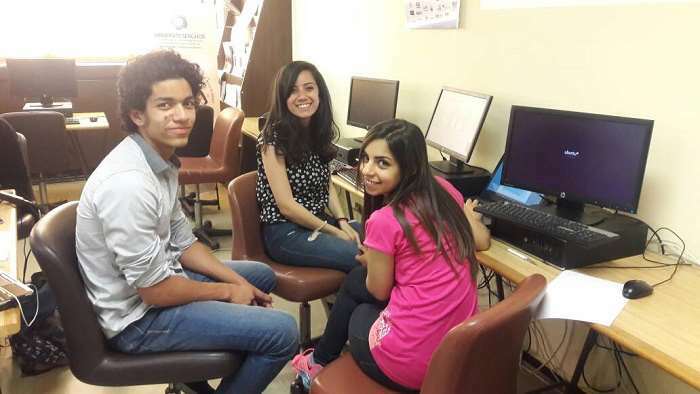 Fourty Two students were selected through our assessment process maintained by Dr. Noha Alaa – CDEC Vice Manager and Eng. 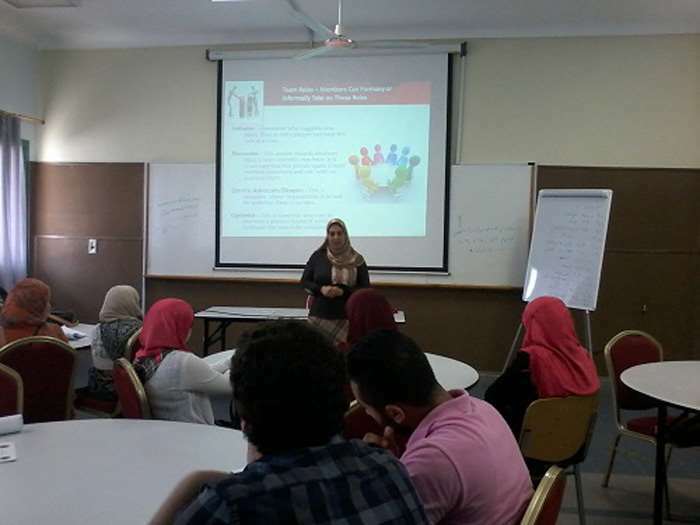 Sara Hussein- CDEC Career Counselor. 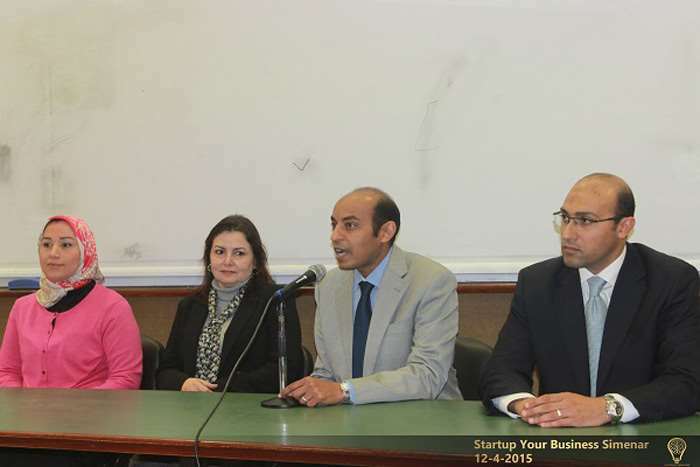 Four entrepreneurs gave talks to our students to share experience of startups. 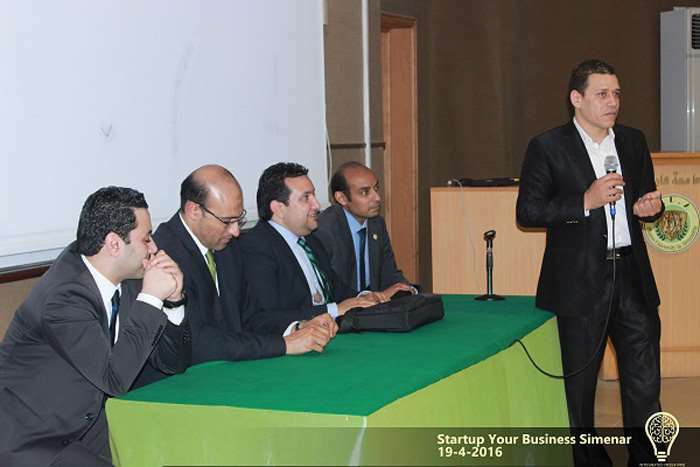 The continuing process of this event is to aid the first phase of empowered students to start their business. 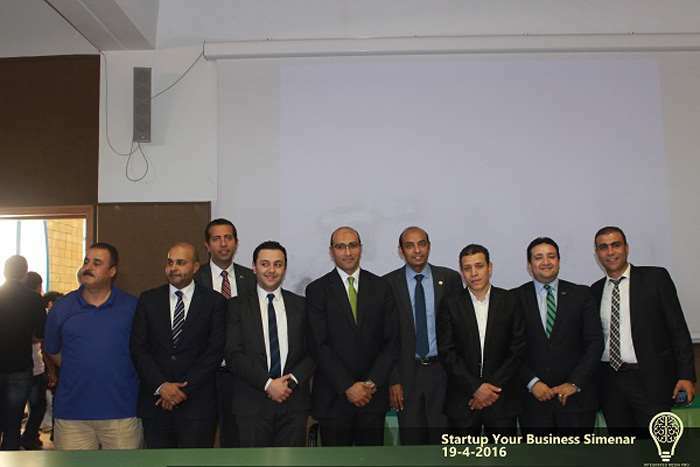 Continuing efforts towards entrepreneurial environment, CDEC organized a prestigious workshop in cooperation with The Project Development Authority, The Ministry of Industry, and The Arab Academy for Science and Technology (AAST) on Thursday 7th December 2017 in PUA campus. 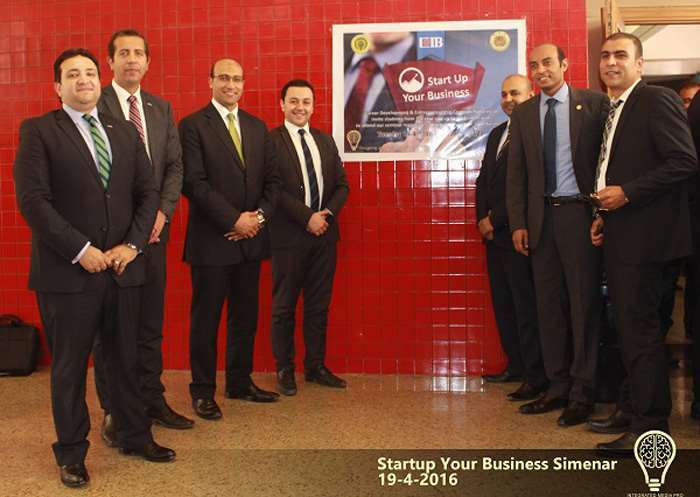 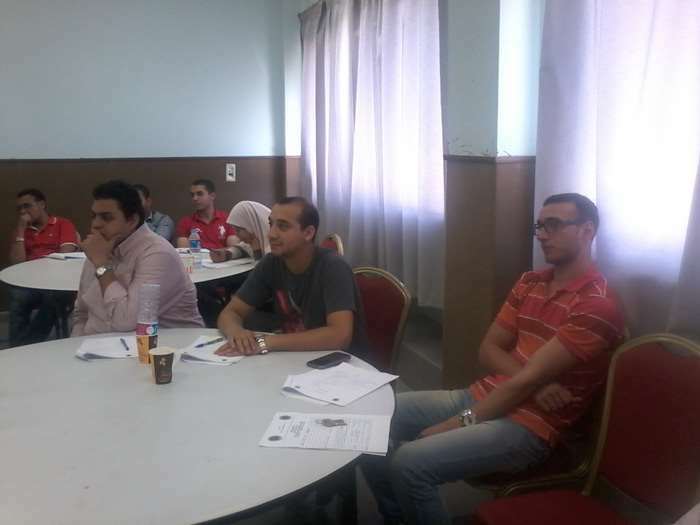 The workshop title was: “Opportunities for entrepreneurs in industrial and agricultural sectors in Alexandria and Delta”. 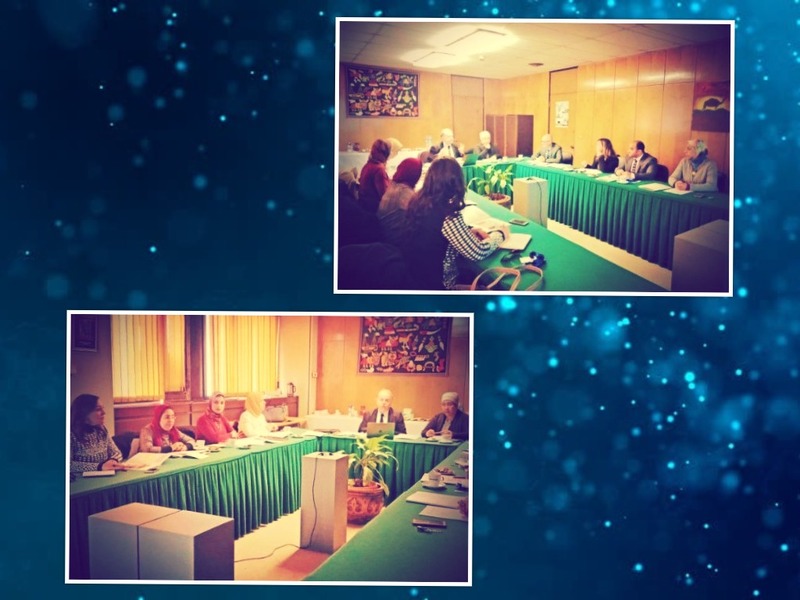 Delegates from mentioned parties, CDEC executive Manager, CDEC Deputy Manager, CDEC coordinators, and more than 20 selected students attended the session. 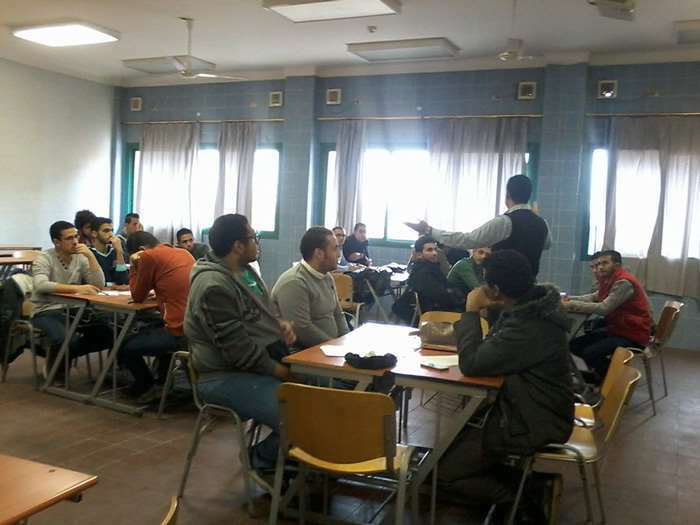 Discussions were regarding possibilities of investments and how students and graduates could profit. 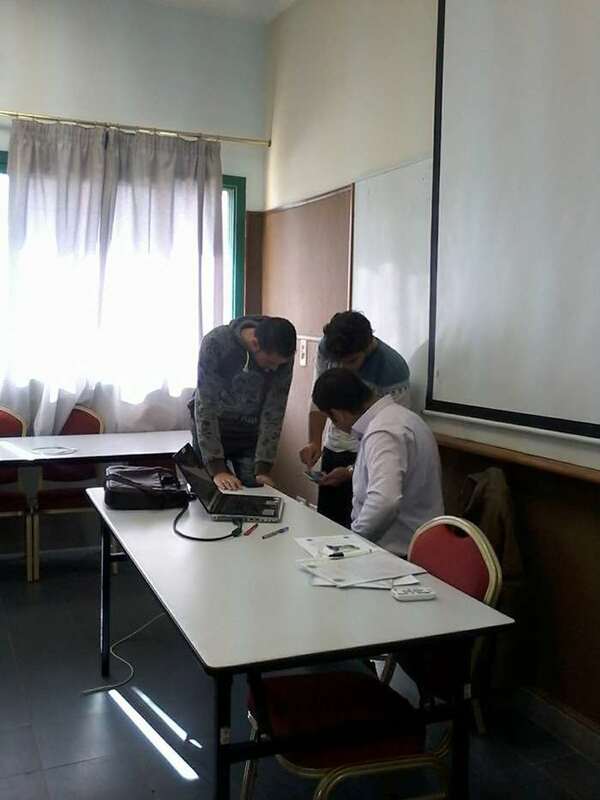 The session was very fruitful. 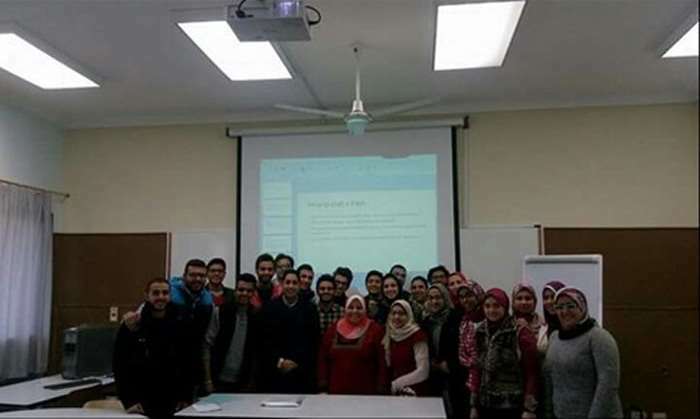 At the end, PUA students received an invitation from AAST to participate in an entrepreneurial competition end of December in AAST campus. 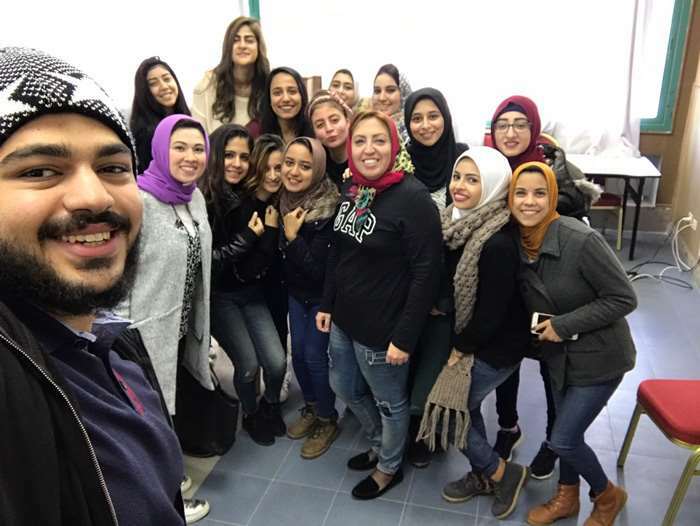 The G200 Youth Forum (6 December — 10 December 2017, Dubai, the United Arab Emirates) will be one of the largest international events organized for the youth from around 200 countries in 2017, and over 300 young leaders, students and academics, representatives of the business world and parliaments will participate in it. 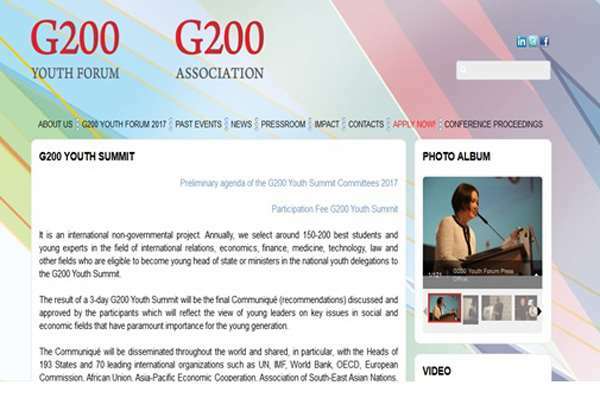 The G200 Youth summit: which will yield the final Communiqué, and in which the best students and young experts in the fields of international relations, economics, finance, and law will play the parts of heads of state and ministers: Head of States, Sherpa, Minister of Economy, Minister of Finance, Minister of International Affairs, Minister of Education, Minister of Environment, Minister of Development, Ministers of Social Affairs, Minister of Culture and Journalist. 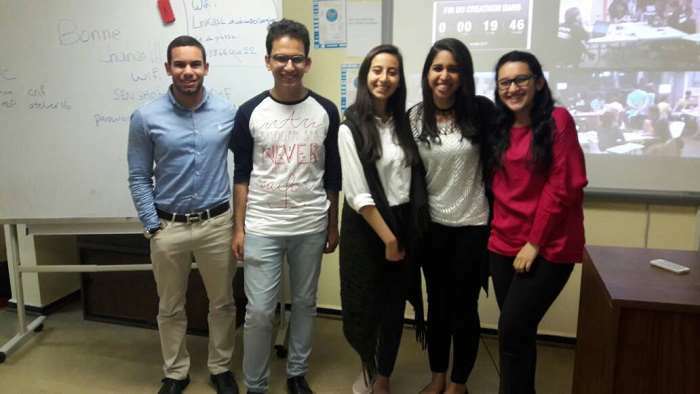 The result of a 3-day G200 Youth Summit will be the final Communiqué (recommendations) discussed and approved by the participants which will reflect the views of young generation of the G200 countries. 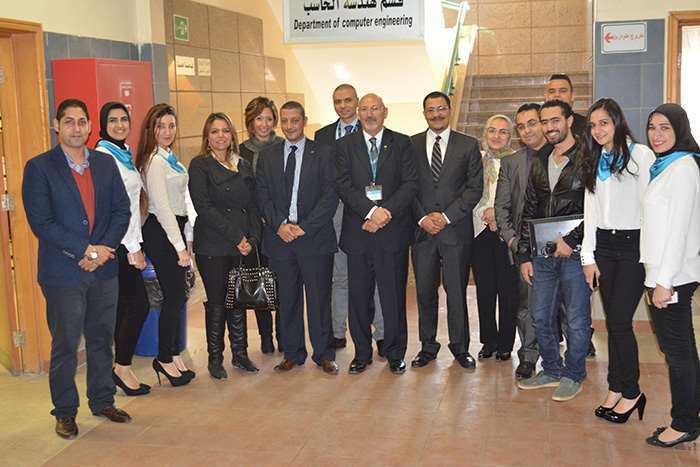 Pharos university was invited to participate in this forum. 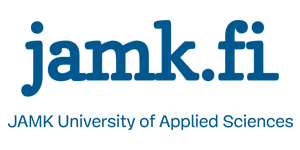 The rate of participation fee is based on the type of accommodation (Single, Double or Triple) and price offer period: From 1st July 2017-29th September 2017 price offer for the participation fee is following: 1900 Euro (Sngl), 1730 Euro (Dbl), 1650 Euro (Trpl). 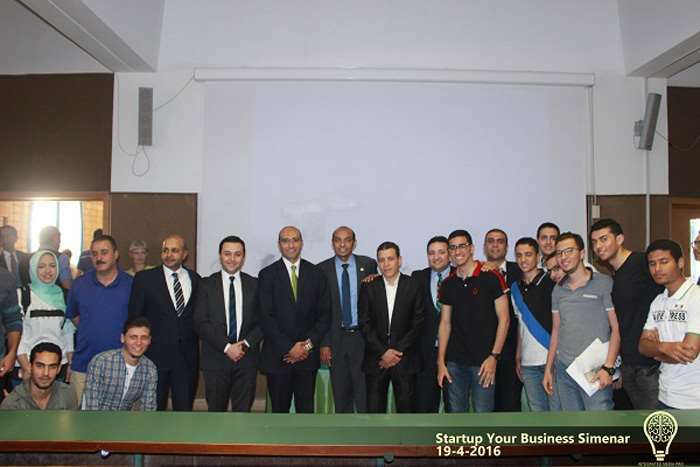 CDEC is proud to announce that –for the first time- three teams (13 students) from Pharos University participated in the Innovation Competition, “Creathon 2017”, organized by University of Poitiers- France, on Wednesday 10th May 2017. 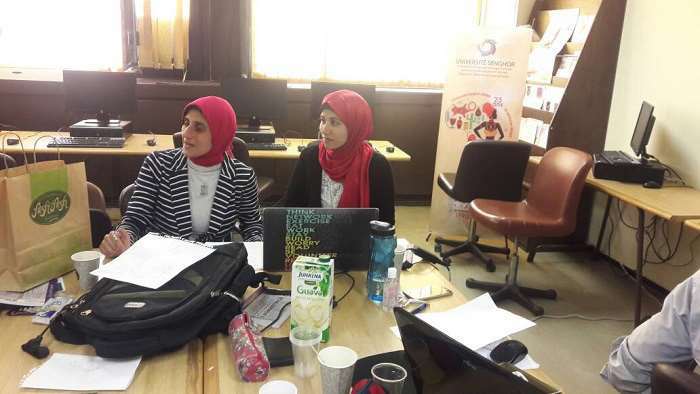 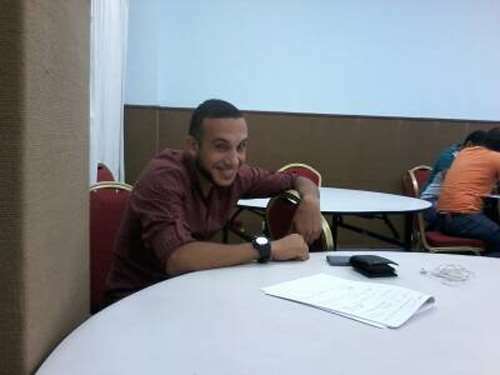 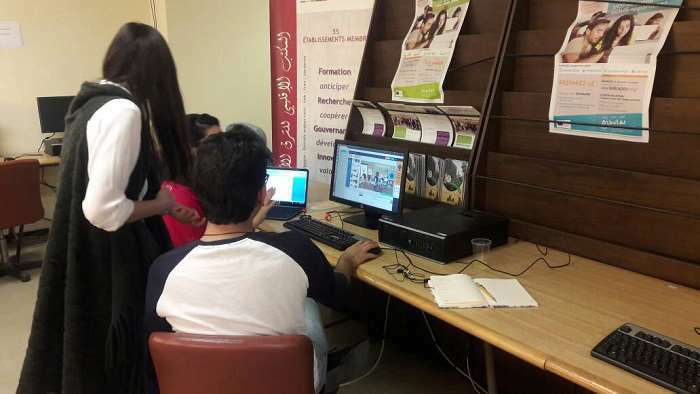 About 200 teams participated internationally; activities were held online during more than 12 hours in centers of the “Agence Universitaire de la Phrancophonie (AUF)” located in Alexandria, Africa, and all over the world. 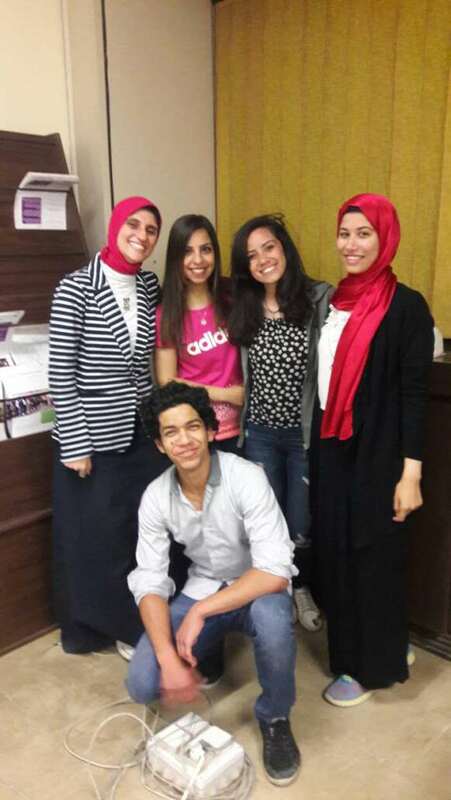 PUA teams showed good performance and high commitment. 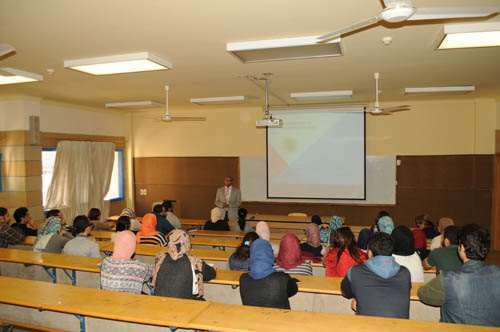 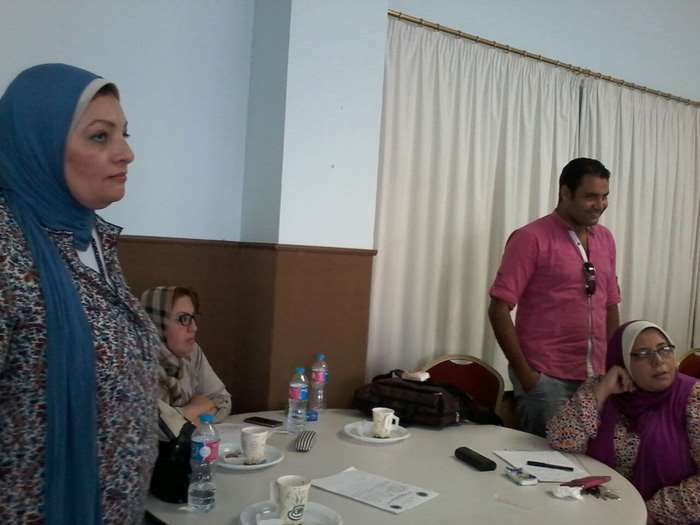 Preparation sessions were conducted by all CDEC team (admin-trainers), under the supervision of Prof. Mohamed Abdel-Rahman- CDEC Executive Manager, and Prof. Norhan Fanaky- Vice President of Students Affairs. 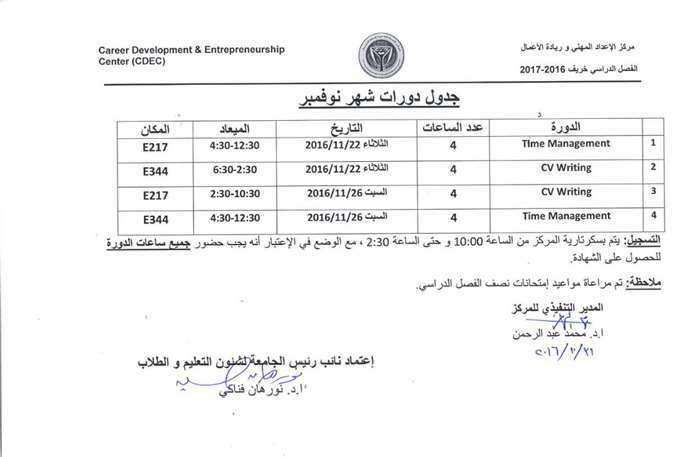 CDEC has organized 9 more workshops in Entrepreneurship during January-February 2017. 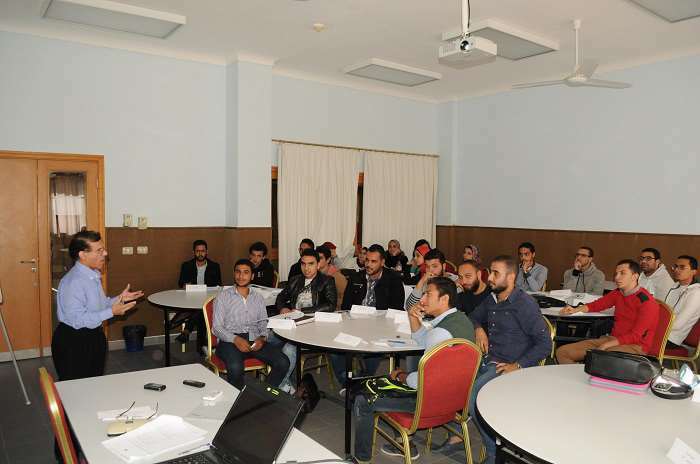 About 211 students from different faculties enjoyed the training that encourages PUA students to be directed towards their own business, and be exposed to small and medium business startups. 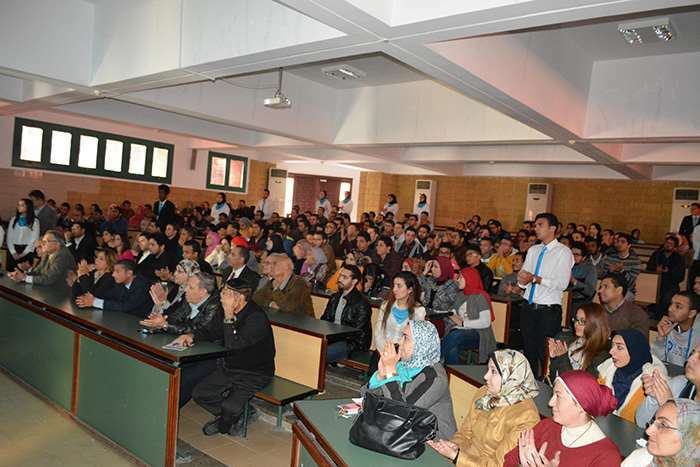 Thank you all for your participation and your fruitful interaction. 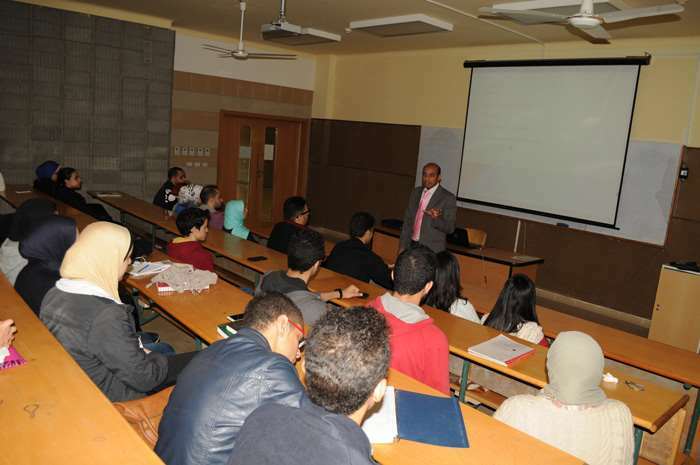 CDEC has organized 6 workshops in Entrepreneurship during December 2016. 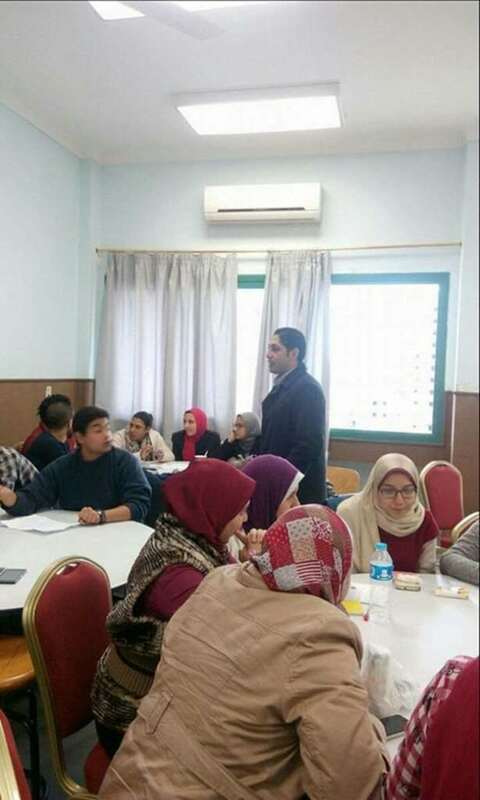 Students from different faculties participated and enjoyed the training. 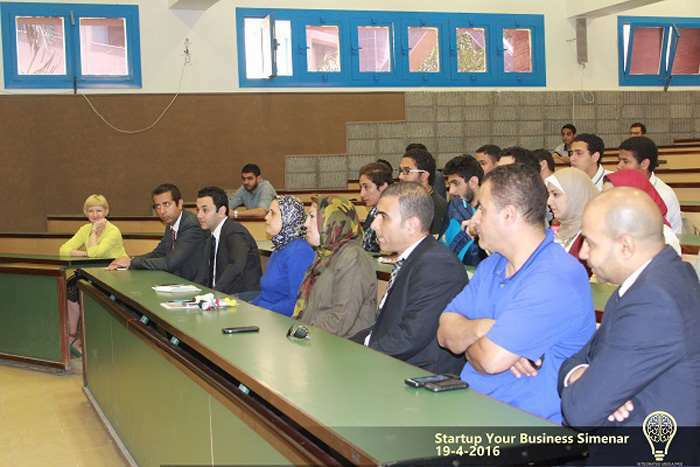 Entrepreneurship workshop aims giving PUA students an exposure towards small and medium business. 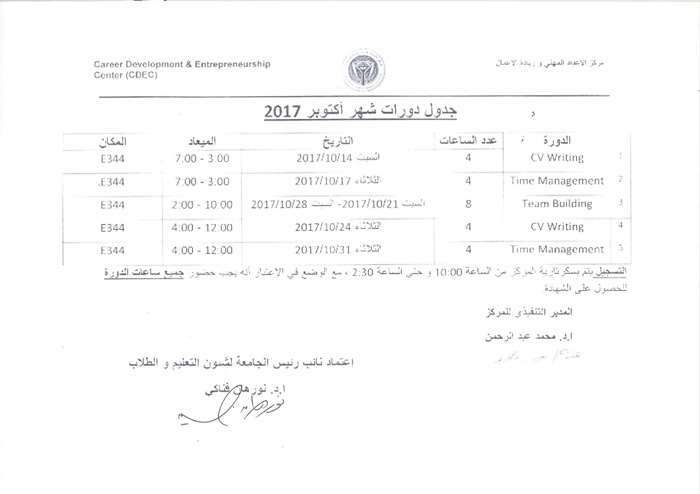 We are waiting for you during our comprehensive mid-year vacation program. 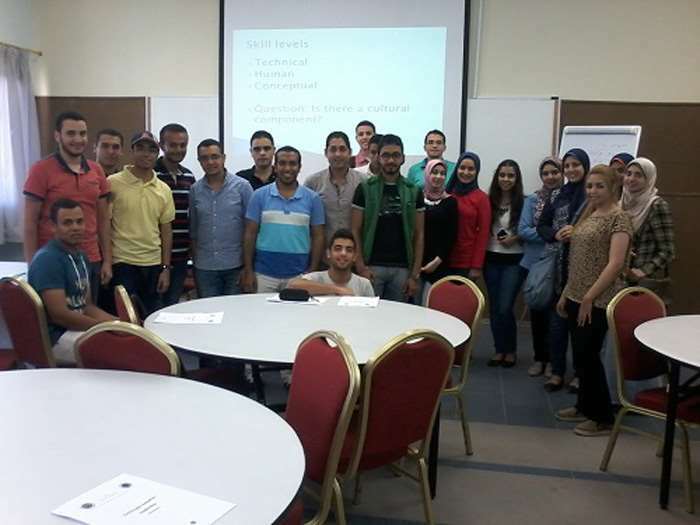 The CDEC organized two, three – days workshops for Entrepreneurship training in cooperation with SFD (social funding for development) in August 2016. 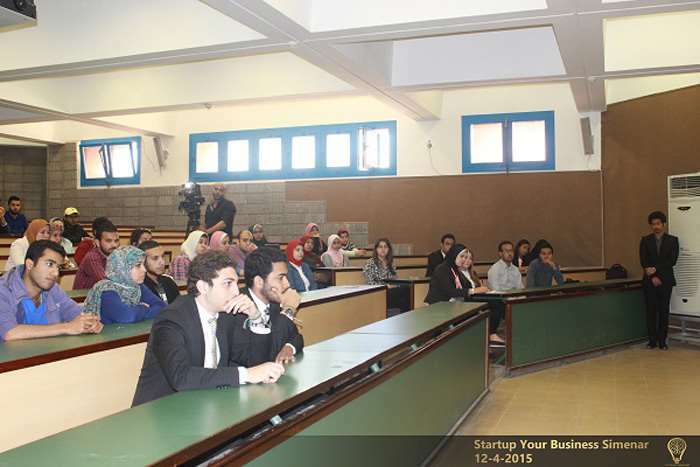 Sessions were to introduce Entrepreneurship concept to PUA student. 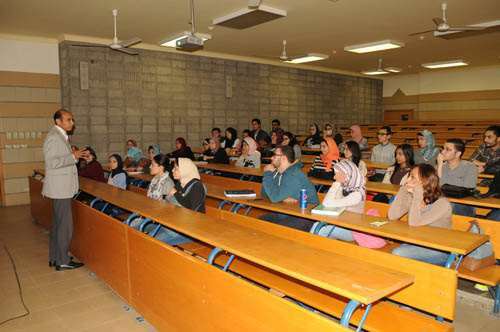 About 40 students attended both sessions. 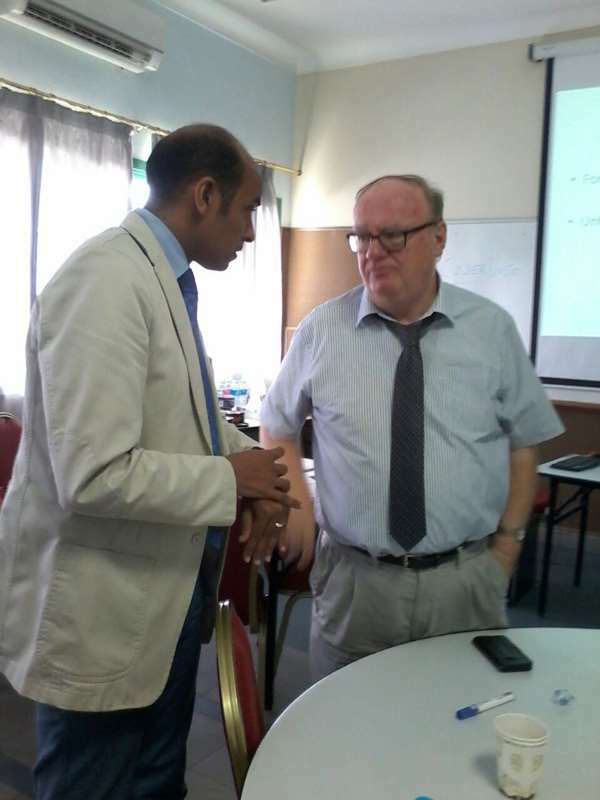 The Career development and Entrepreneurship center at PUA hosted Mr. Paul O’Sullivan from Dublin Institute of Technology (DIT) on Wednesday & Thursday 21st & 22nd September 2016. 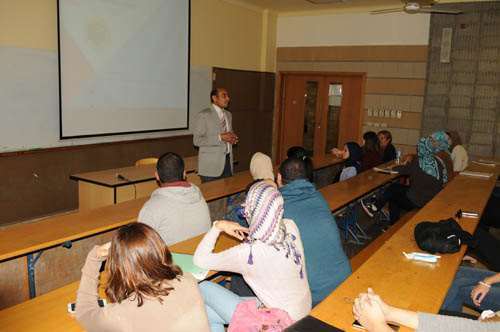 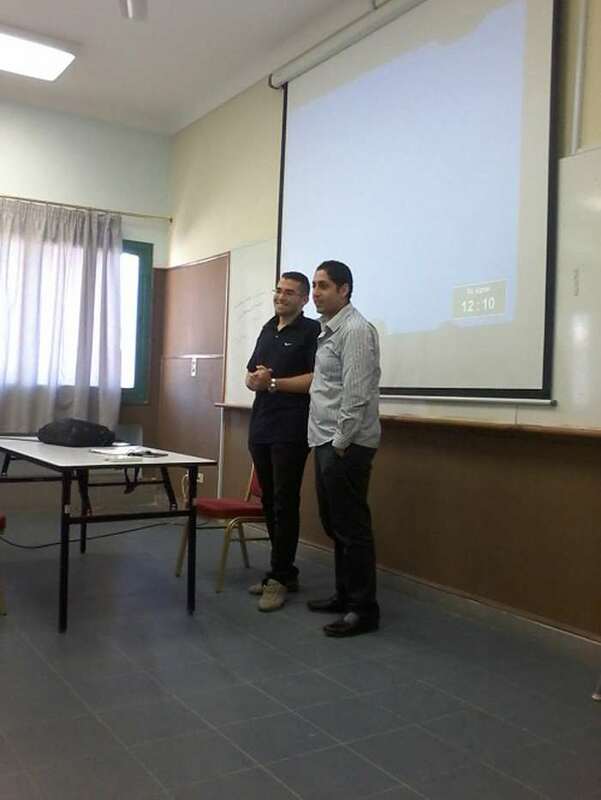 Meetings with CDEC manager were held to introduce entrepreneurship education to PUA students. 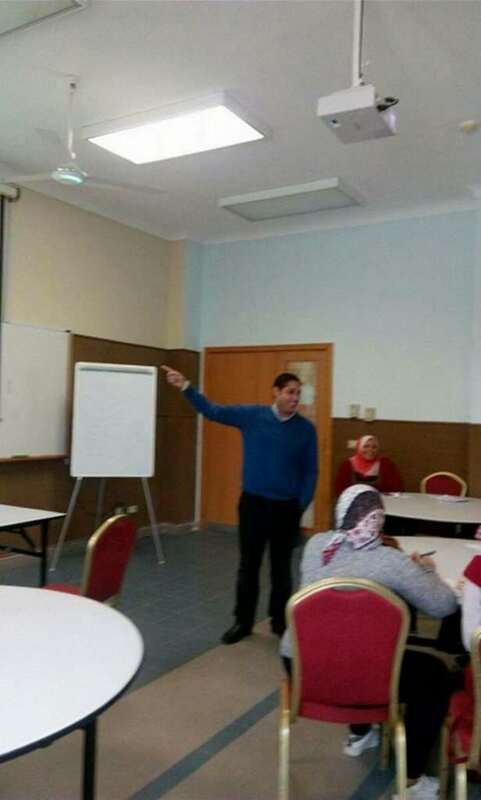 A workshop for CDEC coordinators to introduce entrepreneurship teaching methodology was gives by MR. Paul. 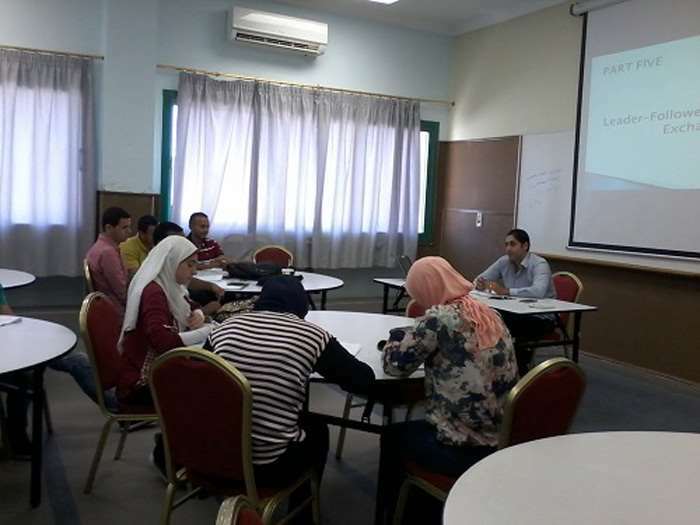 The Career development and Entrepreneurship center organized seven pre-announced courses during July 2016 to develop PUA students’ skills. 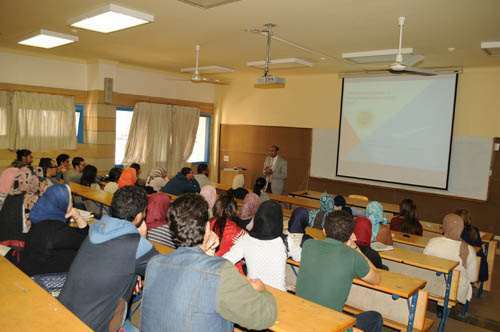 Around 200 students from 11 faculties attended these sessions during July 2016. 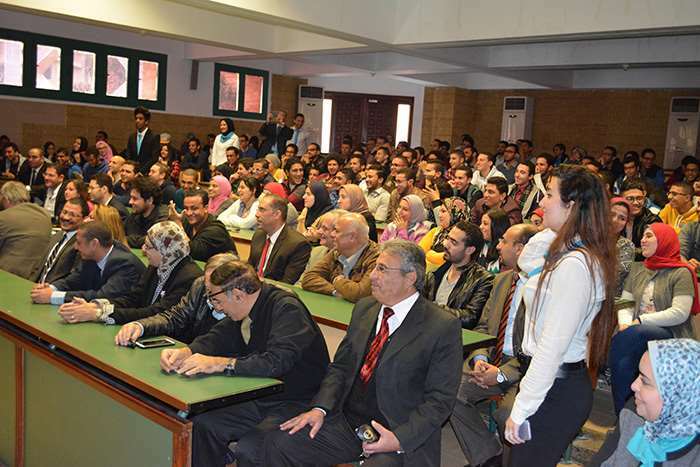 CDEC is grateful to all participants for their behavior and feedback. 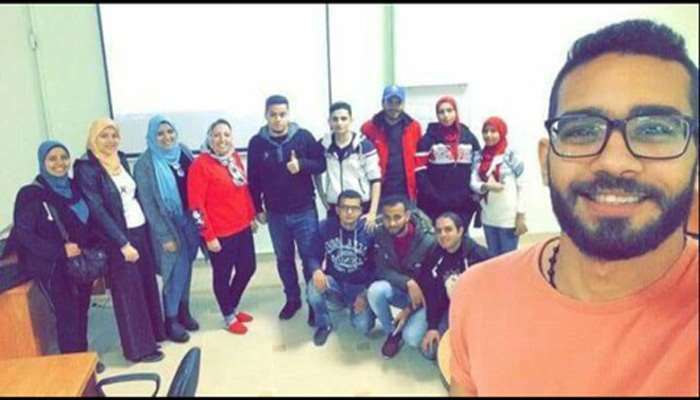 To introduce entrepreneurship culture among PUA students, CDEC has organized a one day session and field trip on Tuesday 12th April, 2016 in D121. 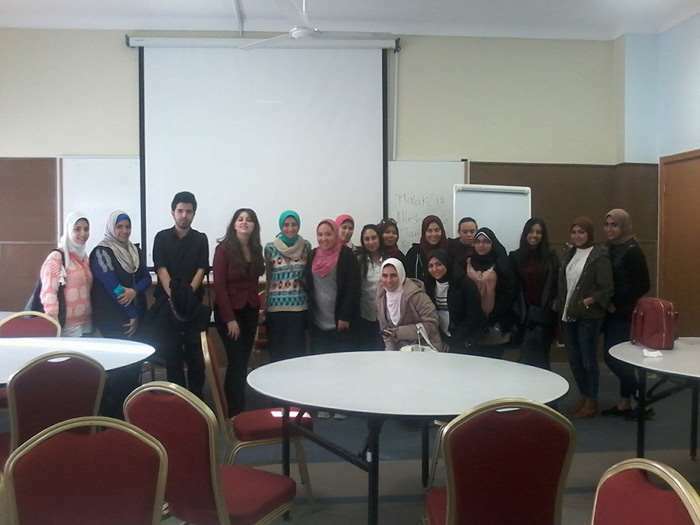 The session was in cooperation with SFD (Social Fund for Development) in Alexandria and covered scope and future of medium and micro finance projects in Egypt. 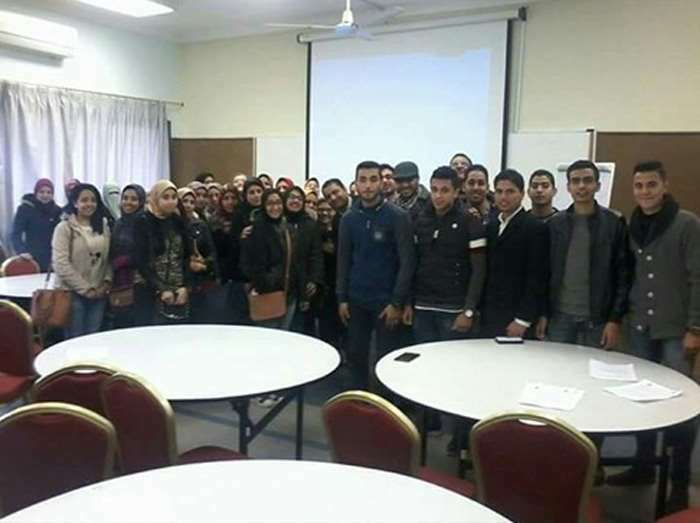 More than 70 students attended the session and 5o students went to a field trip to one of the successful projects funded by SFD and a visit to the SFD office in Loran. 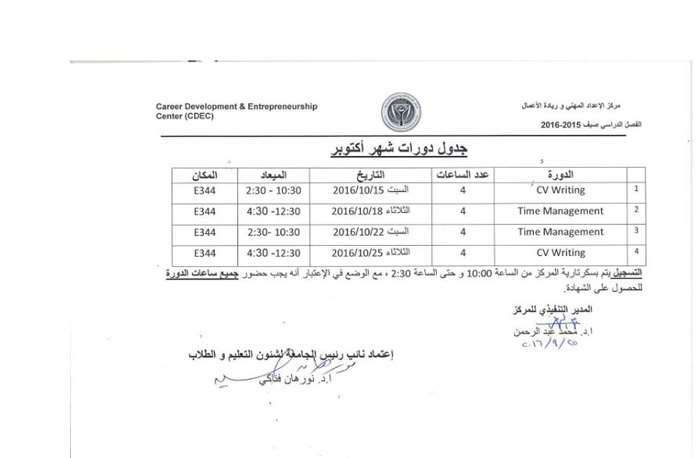 We are pleased to inform you that your certificate will be with you faculty coordinators starting April 2016.